Box Text: When ferocious alien Twonkies take over, only one boy genius can save the day. 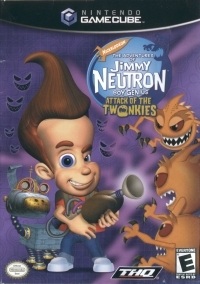 Jimmy Neutron is back and now he must find new gadgets, create all-new inventions and save Retroville from Twonkie terror! 04-13-2017 esjael Box Text When ferocious alien Twonkies take over, only one boy genius can save the day. 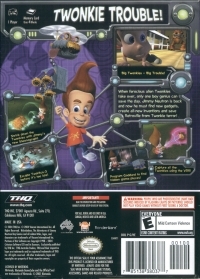 Jimmy Neutron is back and now he must find new gadgets, create all-new inventions and save Retroville from Twonkie terror! 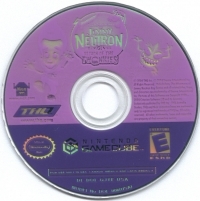 This is a list of VGCollect users who have Adventures of Jimmy Neutron Boy Genius, The: Attack of the Twonkies in their Collection. This is a list of VGCollect users who have Adventures of Jimmy Neutron Boy Genius, The: Attack of the Twonkies in their Sell List. This is a list of VGCollect users who have Adventures of Jimmy Neutron Boy Genius, The: Attack of the Twonkies in their Wish List.